Over the past week we've received a number of calls from homeowner's whose wood fences were damaged or destroyed by Hurricane Sandy. Most of them want to know how replace their posts when there is a big 60-80lb concrete plug in the ground. Luckily, we have a tool in our store called the Oz-Puller which is perfectly suited for this kind of work. 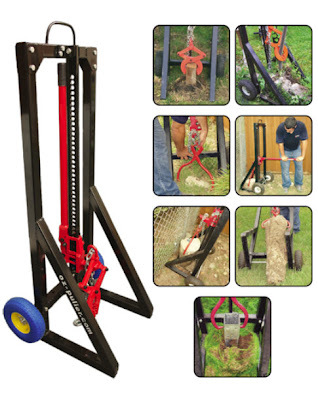 The Oz-Puller is a 48" Farm Jack with a frame that is designed to provide maximum pulling power, up to 6600 lbs, with minimal effort. The video below shows how easy it can be to remove a concrete plug from the ground using the Oz-Puller with the Plug Clamp.